Hope you’re staying warm! Here in Minnesota (where temperatures plummeted below zero…), Oles are back from break and are likely gearing up for their interim midterms. It may surprise those less familiar with the concept of interim that students are almost halfway through their courses after only a few weeks, but it’s true! Interim is a unique academic experience where students spend at least three of their four years taking one course for the entire month of January. While St. Olaf students and professors love the interdisciplinary nature of our usual liberal arts schedules, interim can be a welcome respite between semesters. Students are able to dive into a topic they’re interested in, and professors get to devote more time to teaching the nuances of their discipline. Many students also take the month to travel abroad and escape Minnesota’s arctic winter climate. 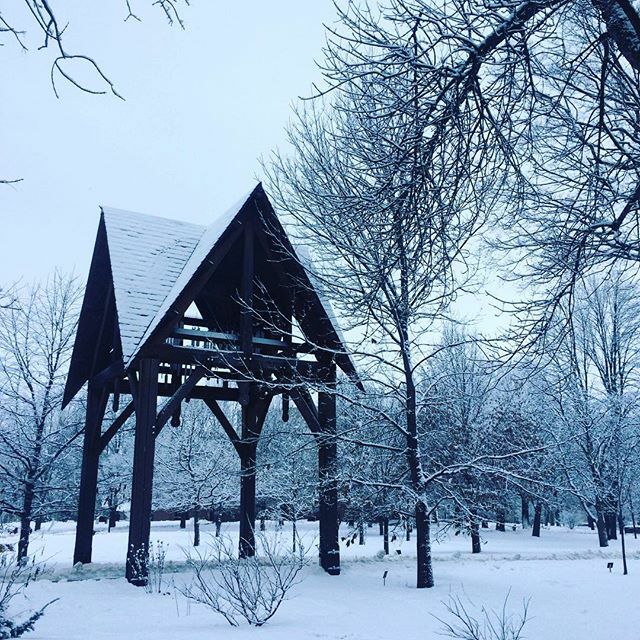 It might be cold, but winter on the Hill is beautiful! While some Oles are trekking the globe, interim courses on the Hill also tend toward the adventurous. For example, this year students can take “Quest of the Ring, the Grail, and the Cross,” a religion class exploring J.R.R. Tolkien’s novels and other quest literature. If students are more interested in science, they can take a cryptology course and learn how to use computers and to crack complex codes. Students passionate about sustainability can take an environmental film course. Many interim courses are open to students from across departments, so it can be a great time to try something new without committing to an entire semester. 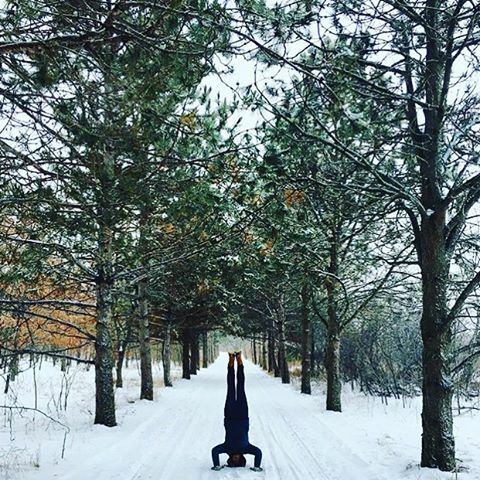 Despite the subzero temperature, many Oles enjoy staying on the Hill for interim’s unique twist on the liberal arts experience. 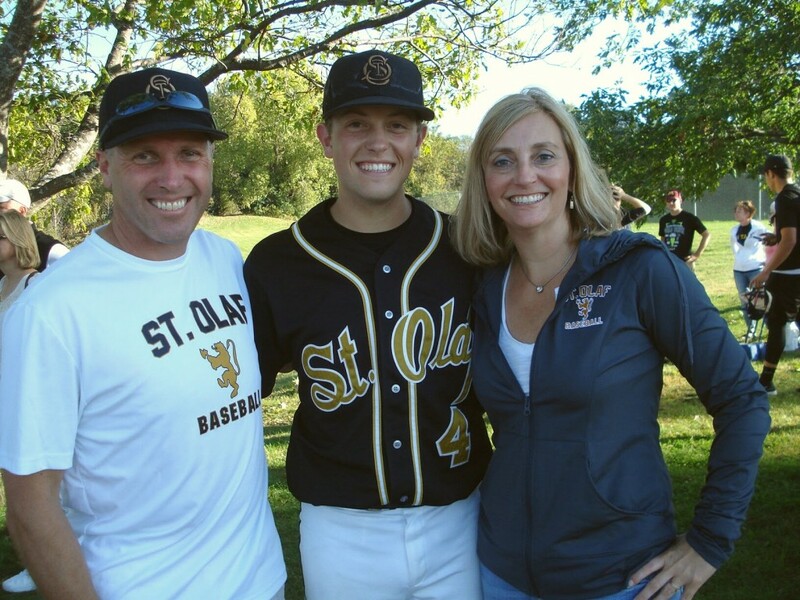 Chris Casey ’18 initially thought St. Olaf was the last place where he’d end up for college. However, everything changed when he visited campus. After further research, Chris knew St. Olaf College was the best school for him, and he applied for St. Olaf’s first Early Decision deadline. 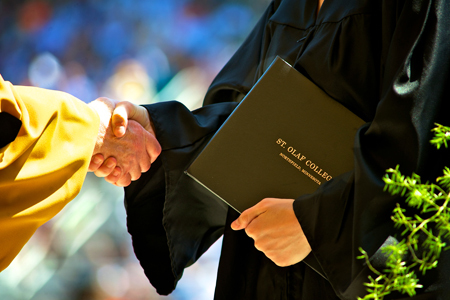 If you believe that you’re ready to become an Ole, you can still apply Early Decision to St. Olaf. The second deadline is just around the corner, January 8th. Why wait until March? Speed up your application process. Apply Early Decision today! It was junior year. Minnesota Private College Week. The time had arrived for me to start looking at colleges. My first official visit to any school was St. Olaf. As my parents were driving down Highway 35, I remember telling them there was no way they could get me to go to a school out in the country! I wanted a big city with thousands of people and a school with a business program. They said I at least needed to get a feel for a different setting to see if it was something I would like. I’m forever grateful they took me to see St. Olaf because guess what: the moment I walked into Buntrock Commons I had that feeling that this was the place for me. That feeling was right. A year and a half later I applied Early Decision to St. Olaf. ​​I’m grateful my parents told me I needed to give St. Olaf a chance! There are several reasons why I love St. Olaf and knew it was the place for me. One aspect that made me want to come to St. Olaf was the fact I would be in an academically rigorous setting where many classes were focused on discussion and posed challenging questions. During one of the Visit Days I attended, a professor gave a lecture similar to a TED talk, where she explained that this was how a typical class at St. Olaf would feel like. I knew I wanted this environment: small classes with accessible professors where I would be challenged. While St. Olaf does not have a business major, I learned this wouldn’t be a problem after meeting with a professor. I am now an economics major with an emphasis in management and a concentration in media studies. This combination allows me to gain experience in a vast number of business related topics instead of being an expert in one specific topic. I also applied Early Decision because of all the fun events and speakers St. Olaf brings to campus. As I mentioned earlier, I thought going to a small rural school would mean there would be nothing to do and people would go home on the weekends. I found that not to be true. Whether we are having a concert (such as Hoodie Allen), a DJ led dance, or a Twins game with discounted tickets, there are endless events sponsored by our Student Activities Committee during the week and on the weekends. 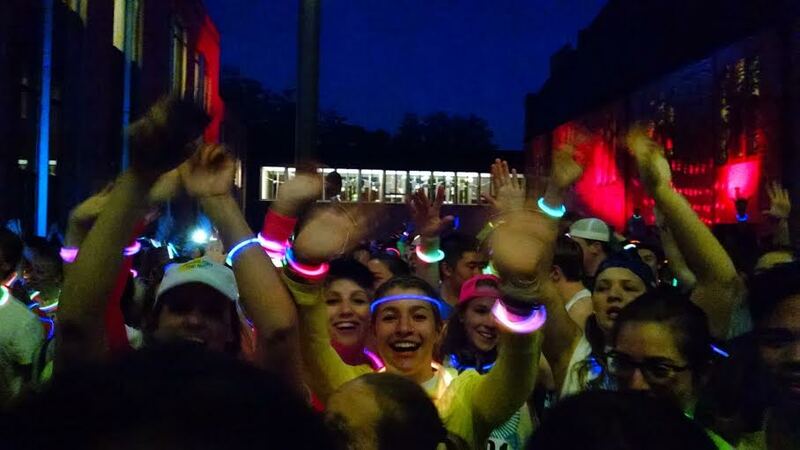 ​One of the highlights of my freshmen year: the Color Run as part of Olepalooza! on the Hill! In terms of speakers, a number of political speakers have come to St. Olaf to share ideas and create discussion among the student body. Last year, it was Reverend Al Sharpton. The year before: Newt Gingrich. Two weeks ago, we hosted Admiral James G. Stavridis. It’s a great opportunity for students to how St. Olaf to learn about a variety of different beliefs. Finally, I applied early decision because I had the chance to play baseball. Continuing your sport is something I highly recommend to anyone on the fence deciding if they want to play in college. The baseball team has allowed me to meet a great group of guys while playing the game I love. I also joined the Student Athlete Advisory Board this past year. This group is in charge of creating “Ole Pride Events” for our athletic teams, such as cafeteria tray races on the rink during hockey games. ​St. 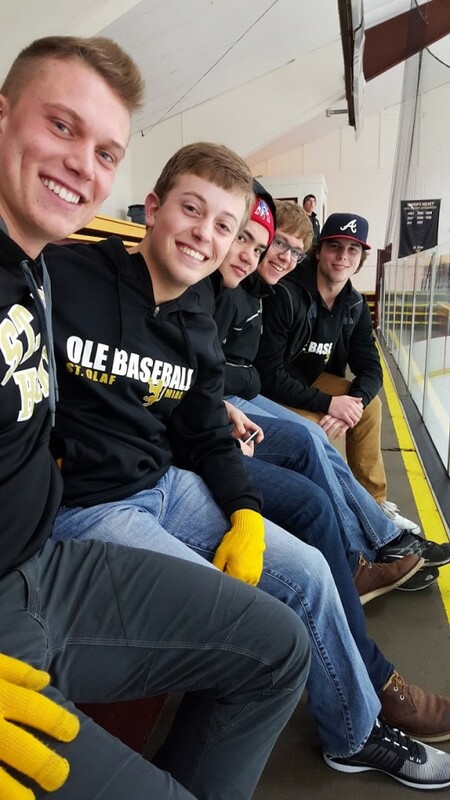 Olaf Baseball showing their support at the Women’s Hockey Ole Pride event. I still remember the day. December 14, 2013. A big, yellow enveloped with the address, 1500 St. Olaf Avenue, came in the mail. I was so nervous and desperately hoping I would be an Ole. When I slid the slip of paper out of the envelope and the letter said, “I’m an Ole”, I was thrilled with joy. I had made it! In 2013, Christmas came eleven days early. Where will a St. Olaf education lead? December has arrived. This time of year, St. Olaf students are rehearsing for Christmas Fest, studying for looming final exams, sledding with cafeteria trays down Old Main hill; and, of course, wondering where the first semester went. As a St. Olaf graduate, I remember the bittersweet emotions associated with time quickly passing by on the Hill. As an admissions officer, I’m also familiar with prospective student’s and parent’s concerns about the future that are attached to thoughts of graduation. The same question arises: where will a St. Olaf education lead? St. Olaf has earned high acclaim for its successes in helping students discern their vocations — what they’re called to do — and then ultimately applying them to real jobs and careers. 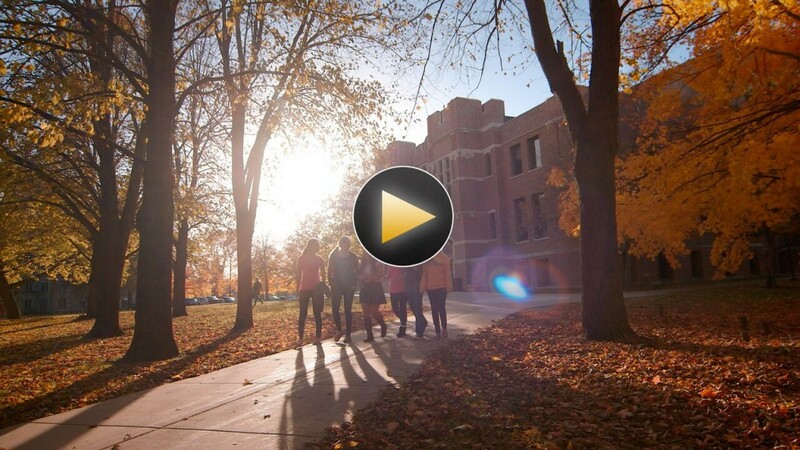 One of the most established assets is the Piper Center for Vocation and Career, which provides resources and experiences designed to help Oles connect their liberal arts educations to professional endeavors. Students benefit from career coaching, funding for unpaid internships, resume and cover letter revising, and networking with alumni and on-campus recruiters. While it seems like a tool for only juniors and seniors, the Piper Center staff also engages with new students as they begin to explore and select majors and internship possibilities. 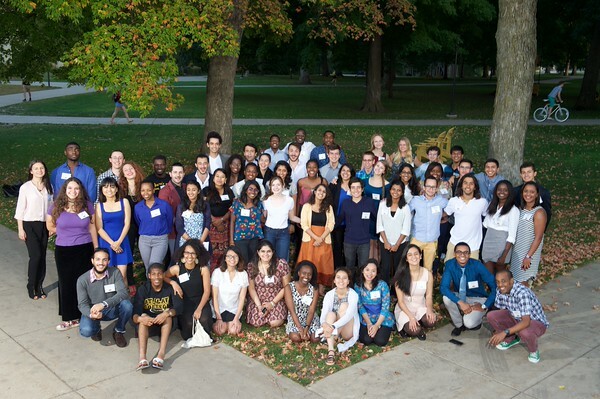 First-years also are encouraged to attend the annual Focus on First Years workshop, which gives them the chance to assess their strengths and weaknesses while also introducing the Piper Center staff and resources. As a result, Oles find themselves well-equipped to begin their next chapters, some even as soon as graduation. About 98% of the Class of 2014 are employed or are working in full-time service projects or continuing their education in graduate school. For more information and specific testimonies from graduates, I recommend reading our published alumni profiles. As an Admissions Officer, I answer many questions about study abroad. Studying off-campus seems to be one of those “admissions buzzwords,” and an increasing number of students from a variety of disciplines see international experience as integral to their college experience. It’s no surprise–in our rapidly globalizing world, it’s more important than ever to be a global citizen able to engage with a variety of perspectives. Luckily, St. Olaf has a long tradition of fostering a global perspective. In fact, for the seventh straight year in the row, St. Olaf sent more students abroad than any other liberal arts college in the United States. While the study abroad experience is one fantastic part of a global education, St. Olaf students are pushed to think globally before they ever board a plane. Outside of the academic material, the students participating in the discussion come from varied backgrounds and perspectives. St. Olaf students represent all fifty states and 86 countries, and they all bring their different backgrounds into discussions both inside and outside the classroom. This is one of the many benefits to attending a college that encourages students to live and learn in community! Over 70 St. Olaf students are Davis United World College Scholars. This program helps foster multinational, cross-cultural experiences and exchanges. When class is over, many students participate in one of St. Olaf’s hundreds of clubs. Several of these clubs focus specifically on diversity awareness and celebration, including the Cultural Union for Black Expression (CUBE), Gay, Lesbian, or Whatever (GLOW), ¡Presente!, Hmong Cultural Outreach (HCO), and Celebrate Southeast Asia! (CSA). In addition to offering a space for students to discuss important issues like race and representation, these clubs also host fantastic events. Check out this example from CSA’s 2015 Diwali celebration, which is the Hindu festival of lights celebrating good’s triumph over evil. In many ways, studying abroad offers an irreplaceable opportunity to learn about and experience another culture. However, St. Olaf’s globally focused liberal arts education, combined with a vibrant student community, helps students expand their perspectives beyond the slopes of the Hill. 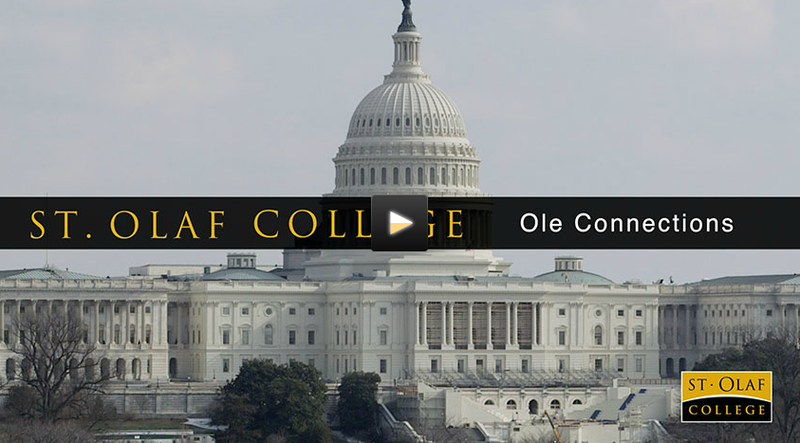 Admissions Officer, Ben Pelegano ’15 knew early in his college search that he wanted to be an Ole. 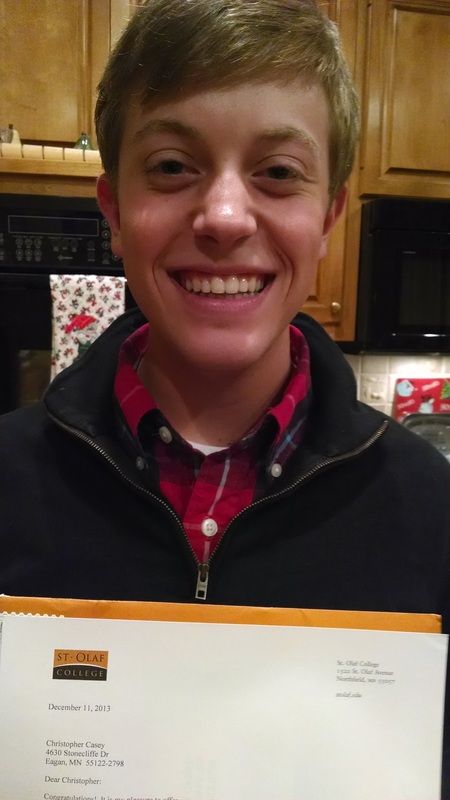 So he applied for St. Olaf’s first Early Decision deadline. Early Decision is designed for students who know St. Olaf is their best choice, and who understand enough about the college’s financial aid policies to feel confident St. Olaf is an affordable option. This year, the first Early Decision is deadline is November 15th. Click here to learn more! Come mid-December, I was fist-pumping to “The First Noel”, and my family was passing around the eggnog. My St. Olaf College acceptance letter hung by the chimney with care. I had just learned that I had been admitted Early Decision. With my college search complete, I could finally relax and enjoy my holiday break and the rest of my senior year. I spent my spring going to the movies and playing catch with my friends while my classmates were writing their college essays for the 106th time. During my college search, I visited 17 schools. St. Olaf was the first one I visited and the last one. I returned to campus one last time to make sure it was indeed my Smitty Werbenjagermanjensen, or my #1 (it’s a Spongebob Squarepants reference, if you didn’t understand it). Something about the atmosphere and community on campus grabbed me from my first visit. First and foremost, I wanted to study abroad, and I knew St. Olaf would provide me with numerous opportunities to pursue that interest. I also wanted to have a radio show, write for the student newspaper, participate in the rowing team, and to play intramural inner tube water polo. I quickly learned that St. Olaf was a place that would support all my interests while still providing me with a quality education. So, while I begrudgingly told my father that I’d “keep an open mind” during the rest of my college visits, I knew almost right away that I’d end up at St. Olaf. Now for some, that moment of clarity will not be as immediate. But if St. Olaf is on the top of your list, I highly recommend Early Decision. Applying early was the best decision for me and my entire family. St. Olaf had everything I was looking for in a college, and I did not want to wait until March to find out if I had gotten into my first-choice school. Thanks to Early Decision, I found out I had been admitted one month after I submitted my application. My parents were supportive because they knew my chances to earn any financial aid and/or scholarships wouldn’t be affected by applying Early Decision. Even my dog was thrilled because she knew I’d have more time to frolic with her instead of applying to more colleges. So, for the well-being of you, your family, and any attention-seeking animals your family may own, if St. Olaf is your #1 choice, consider applying Early Decision!